Published By – New Kids In Yoshimoto, Inc. 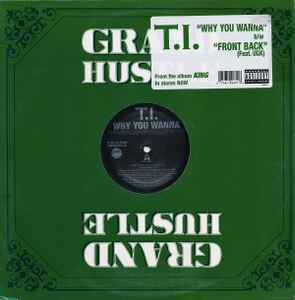 Released in a generic, die-cut, "Grand Hustle" branded, stickered sleeve. Contains excerpts from "Gypsy Woman (She's Homeless)" written by Neal Conway, Crystal Waters and published by Universal PolyGram Int'l (ASCAP) used by permission. This track contains a sample of the recording "Gypsy Woman (She's Homeless)" as performed by Crystal Waters. Excerpts from "Boyz-N-The-Hood" as performed by Eazy E.
Used courtesy of Priority Records, under license from EMI Music Marketing.